Masters swimmers are not noted for their cycling and running ability, but six Viking ladies took part on 16/17 February 2013, in the the Husky Long Course Triathlon Festival at Jervis Bay, which has grown to become one of Australia’s most loved triathlon events with a packed program that includes Sprint & Enticer distance triathlons, Ocean Swim, Fun Runs and MINIMAN kids’ triathlon at a spectacular spot on the NSW coastline at Jervis Bay. 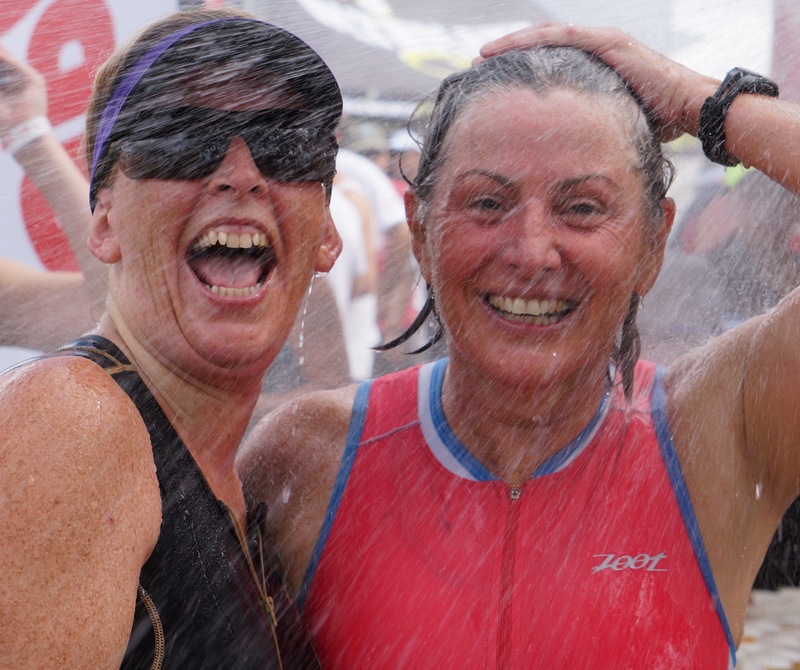 First up for the Saturday races were Atsuko McGowan, Nicolee Martin, Caroline Makin and Kristen Leydon who all took part in the 2575 Sprint Triathlon on the Saturday morning: a 750m swim, 20km cycle and a 5km run. 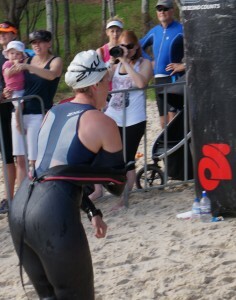 Katrina Burgess also took on the swim leg as part of a female team “Spicy Racks” in the Sprint distance. First off was Atsuko in wave 4 with the 30-34 Females. The others wished her good luck and off she went on the 750m swim course, next up 5 minutes later in wave 5 with the 45-49 Females, went Nicolee, then another 5 minutes later in wave 6, Caz and Kristen set off with the 40-44 Females. Finally, Katrina set off in the swim leg for her team. Our Vikings came up trumps in the swim legs (despite the painful 50m run up beach and massive steep staircase to the top of the cliff to the transition timing point!) with Caz finishing 1st in her age group in 13:06 from 102 swimmers, Nicolee 2nd from 49 swimmers in her age group in 13:31, Atsuko 8th from 126 in her age group in 13:48 and Kristen 33rd from 102 in her age group in 16:37. Katrina finished the swim in 13:15 and 1st place from 12 female team swimmers. 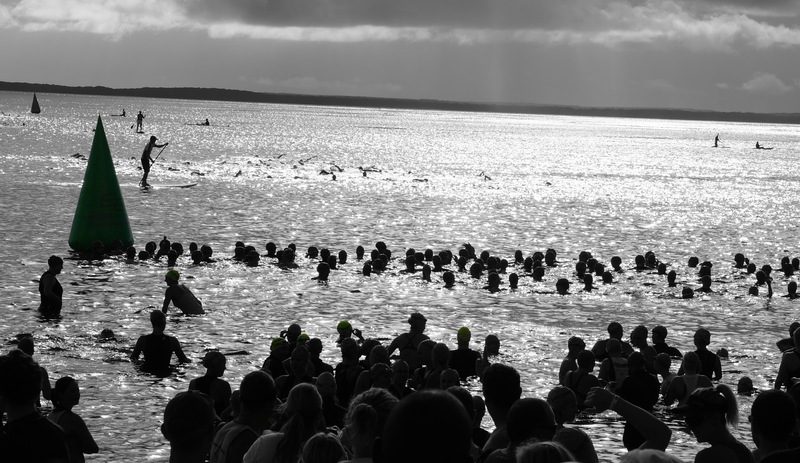 If only the swim was longer and equilateral …. then us swimmers would be more on an equal standing with those triathletes who are good runners and cyclists!! Full Sprint distance results are available. What a great morning of racing and team camaraderie, with fellow Viking, Jill Blomeley (more on her to come! ), cheering on the ladies at transition going out on the bike and the run legs and Scott Makin and Luke McGowan cheering on their spouses and taking photos! No surprise that the first stop after a hose pipe shower was to head to the Husky Pub for a beer or two!! 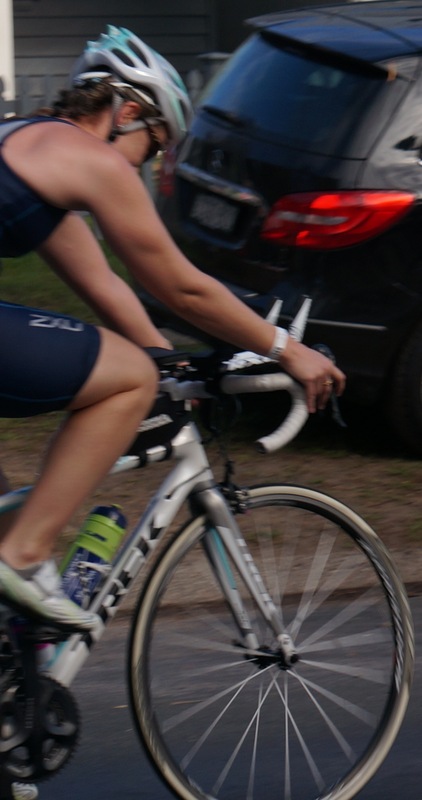 Next up was Jill Blomeley who all took part in the Long Course Triathlon on the Sunday morning: a 2km swim, 83km cycle and a 20km run. 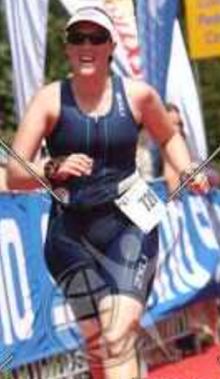 Very impressively, Jill has progressed from Sprint distance to Olympic distance and most recently to Long Course triathlons in the last 3 years. The Long Course distance is a huge event and sells out almost as soon as it is open for registration. This was to be Jill’s second Long Course triathlon after her debut towards the end of 2012 at Port Macquarie. 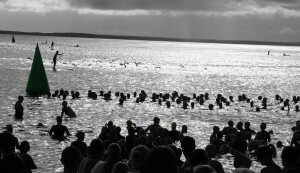 Jill set off in the swim leg at 8:30am in one of the later waves with the 30-34 Females. 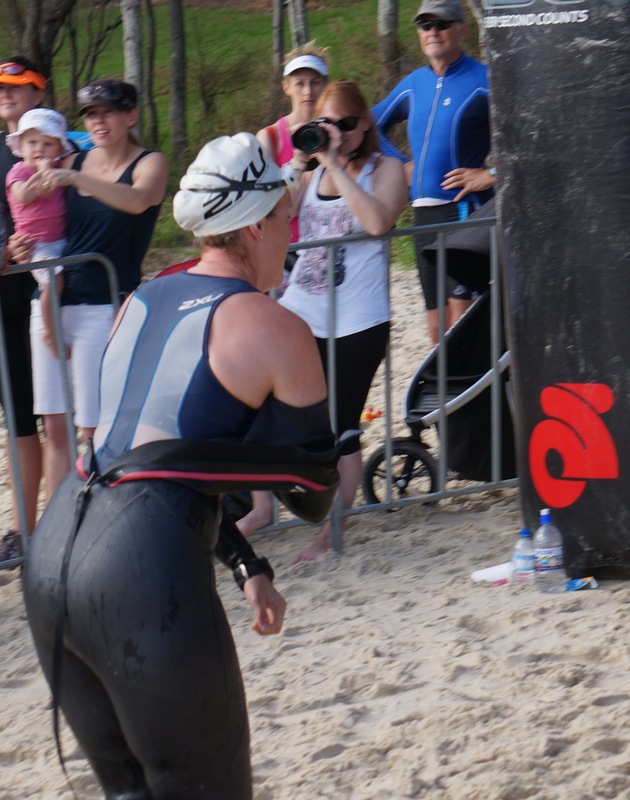 Caz went down to the beach to see her come out of the water and head up the steep staircase to transition. Caz then ran up the other staircase to catch Jill coming out of the bike transition to start the first of her three 27km laps on the cycle leg. Nicolee and Kristen were waiting at the Vincentia shops to cheers Jill into the final stages of her first lap, whilst Caz and Scott were waiting by the Husky pub to cheer Jill on at the start of her second and third laps on the bike. Jill completed the mammoth distance in a time of 5:47:10, finishing 50th from 54 in her Female 30-34 age group, and 188th from 247 Females. Jill’s swim leg was a solid 36:32 for the 2km course. 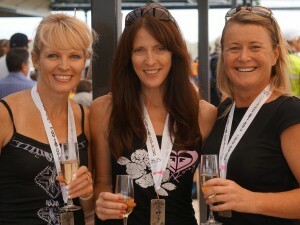 Massive congratulations Jill, we “sprinters” are all totally in awe of you completing the total 105km event …. you truly are an “Iron Person”! Full Long Course results are available.